It has become the norm at Kent State to study abroad in Florence, Italy. Between the shopping and easy weekend traveling, it is a luxurious break from having a crazy college career. But have you ever thought about actually moving to Florence? Lisa Padilla is a 32-year-old English teacher who moved to Florence from Long Beach, California after meeting her husband on vacation there. He offered her a mojito and a long distance relationship of three years emerged before making a life-changing decision. She’s sharing her experience of moving to another continent and advice for others thinking of doing the same. A Magazine: How long have you lived here and how have you adapted? Lisa Padilla: I moved to Pistoia, a small town outside of Florence, at the end of 2013. I have been living here for a little over four years. Initially, it was quite difficult. I was used to living in a big city and the language barrier made things tough. I’ve always considered myself an adaptable person, but it has taken much longer for me to adapt than I had first imagined. A: How has your daily life changed? LP: Working hours are much different here. In the U.S., we normally have dinner at 6:30 p.m., but here it’s the norm to have dinner at 8 p.m. So, my whole routine from breakfast to bedtime has completely changed. A: Did you start learning Italian once you moved here? LP: Yes, one of my main goals was to speak Italian well. I took a full immersion Italian class at Scuola Toscana. It helped immensely. I went from knowing only Buongiorno and ciao to being able to hold a basic conversation with native speakers. A: Do you miss anything about living in the U.S.? LP: Yes, I miss delicious Mexican food and Target! A: Do you create routines here that you did in the U.S.? LP: I love American brunch, so I normally make a boozy brunch every Sunday. A: Is it easy for you to make friends here? LP: Yes and no. I have found it much easier to make friends with other foreigners than Florentines. I think this is because they have moved to a new city and have had to make new friends too. Florentines usually have a close-knit group of friends from when they were in elementary school. They can be a little hesitant to let you in, but once you have made that friendship you’ll be friends for life. Italians are very loyal and they like to stay in contact. A: What new doors has moving to a different country opened for you? LP: Italy has really changed me as a person. I’m much calmer and happier than I was before living here. Moving here has allowed me to pursue a different career that I adore. It has also made me really appreciate my loved ones. 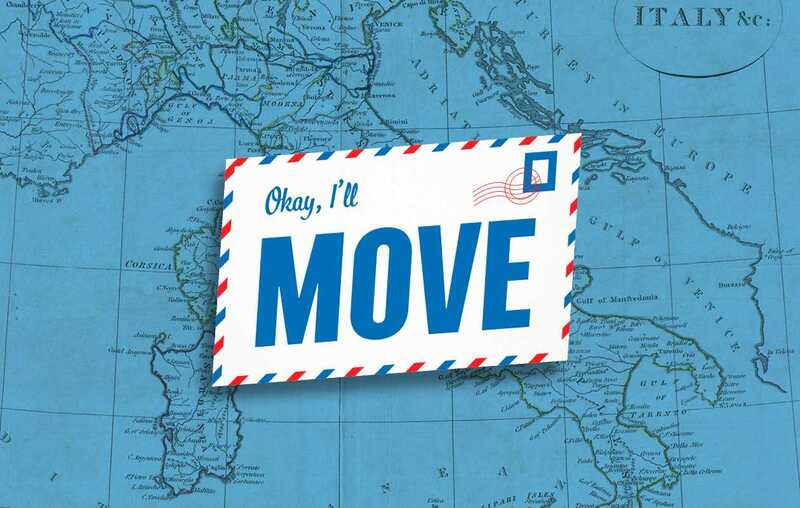 A: What advice would you give to people considering moving to another country? LP: It is important to be aware that professionally speaking it’s going to be hard. If you don’t speak Italian, your job options will be very limited and the salaries are much lower. You need to save up as much money before moving and find a job beforehand. A: Do you have anything else you would like to include? LP: If you do decide to move to Italy “in bocca al lupo!” (into the mouth of the wolf). You say this when you want to wish someone good luck.